Are you stuck in the blended learning development or deployment process? You’re not alone. Here are 5 common "sticky" complaints we hear from customers, along with solutions to get you and your organization moving forward. Challenge 1: There’s So Much To Do – Where Do I Even Start? Many clients, especially large clients, have been creating, purchasing and squirreling away courses for so long that their training library is bursting at the seams. They don’t know what they have, but they know that much of it needs updating. Where to start? The first thing to find out is where your most pressing needs exist. Identify where big revenues, big losses, big risks, and big opportunities exist in your organization. Ask associated stakeholders where changes in behavior could move the needle on organizational performance. These areas are your critical needs. Then inventory your training assets. Prioritize courses and materials that have been used in the last 12-24 months. Compare your critical needs to your existing assets. When you find a topic match, take a closer look at the asset and see if it fulfills the need, or what needs to be added/updated/replaced to meet the need. Start there. TIP: It is often easier for a neutral third party to assess needs and inventory assets, and even make initial recommendations for big wins and top priorities. Outside vendors can offer a neutral vision and don’t have competing responsibilities diluting their focus. A vendor can come in, make recommendations, and execute the project quickly and efficiently, sometimes before an internal team could get the project off the ground. Compliance training is famously boring. 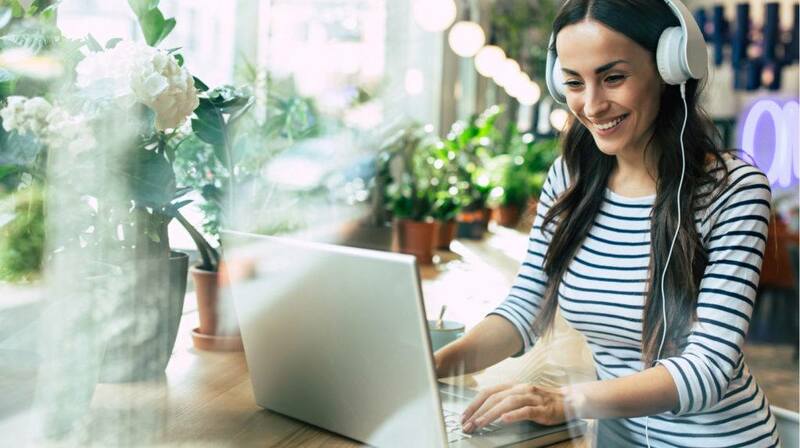 If your company purchased off-the-shelf "page turner" training to check the box and prove training is being offered, then a lot can be done to increase its impact, especially using a blended learning model. Extend your off-the-shelf compliance courses with interactive activities or video case studies from learners’ peers, and above all, give a compelling reason for learners to care and make the effort to change how they do things. If the blended learning you have is already compelling, ask this famous question: "With a gun to your head, could you do what you learned in training?". If the answer is yes, but they’re not doing it, then it’s probably not a training issue. 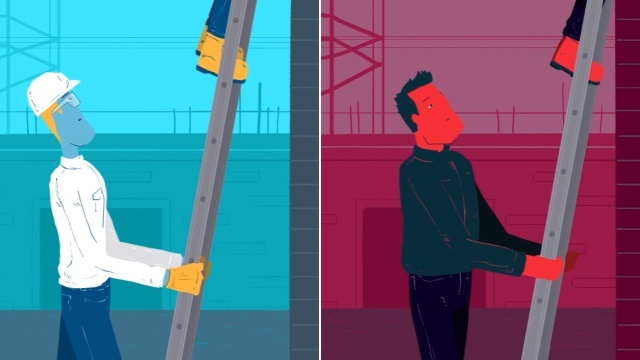 If your training says to report safety incidents, but the bonus system dings everyone on shift when a safety incident occurs, how many people will report safety incidents? If they believe you really want to know, they will tell you –possibly more than you want to hear– about their frustrations. This feedback is gold when it comes to charting your next steps and justifying budgetary requests based on need. Part of the value of a centralized repository should be learners’ high confidence that they can rely upon the content they find there. To jumpstart curation in your organization, consider archiving any learning asset that hasn’t been used in the last 24 months. If it’s missed, you can bring it back. Then take a good look at what’s left and eliminate, update, or supplement as necessary. If your LMS itself is a barrier to learners, you may be on the path to replace it. But in some organizations, that kind of project can take multiple years to get buy-in, select the tool, secure funding, and implement the change. In the meantime, you can make big improvements for learners (and for ROI) with learning portals and maps. The blended learning materials still reside in the LMS for version control and tracking purposes, but the learner can access what they need quickly and easily through the learning portal interface. Learning maps make the content that a learner needs to access even more clear and personal. If you have good content, and your LMS or other learning repositories are in good shape but learners still aren’t taking courses, get the word out with an awareness campaign. Let learners know that you’ve got that they want, and how easy it is to find it. TIP: If you want to generate interest and convey an exciting change, don’t use the same, tired, email-blast format. Try something new. Keep it simple, but make it relatable and engaging. This is the internal communication/marketing side of change management. Successful awareness campaigns integrate visual, text, and emotional elements into a targeted message that sticks with learners. A little help from an outside vendor with special skills in internal communication campaigns can make a huge difference here. Subject Matter Experts are critical to developing and updating course content, but everyone wants their time. SMEs often simply don’t have enough hours in the day. How can you get them to prioritize working with you? If you make it easy for SMEs to work with you, and you have a lot to show for a little bit of their time, that’s satisfying for them as well as for you. They are more likely to accord you time in the future. To accomplish this, you need to invest some of your time to save them time and set their expectations about what you need from them at each stage. Show SMEs your course development methodology to explain when SMEs are needed, what they will be doing, and how much of their time it will take. For example, Obsidian Learning uses three review cycles to ensure content completeness and accuracy. The first review is to determine if the content is on target. In this stage, SMEs shouldn’t waste time wordsmithing content that might be deleted or shortened. (Polishing comes later.) And if the SME doesn’t catch a major omission until the last review, it causes a lot of rework (cost, time, effort) for everybody. Clear expectations help to limit required SME time. Do all the prep you can before your first meeting to gather content. Use the learning objectives to pull basic content together into a storyboard. It can save the SME a lot of time to modify what you brought them instead of starting from scratch. Having done the prep, you will also ask better questions and more fully understand the answers. TIP: Make sure that the necessary people are involved in the review process from the beginning. If a key stakeholder doesn’t see the product until the final review, there is a major risk everything will have to be redone. This is the kind of hidden risk we surface with up-front stakeholder analysis (part of our standard methodology). Sometimes SMEs get stuck in the mindset that everything is important to teach. At every review cycle, they think of something else too important to leave out and add it to the course, which then needs to be reviewed again... The result is content bloat far beyond the original learning objectives. Rather than giving the learner everything they need, beginners are drowned in so much content they can’t take it all in. Unfortunately, this can be a hard message for some SMEs to hear. Include a member from the target audience in the initial meeting to set learning objectives, and in subsequent content reviews. Conduct a focus group with audience members. Include them in beta testing. Let the learners tell the experts that this is a case where less is more. Let the experts see it for themselves. TIP: It is often easier for an outside vendor to have this conversation with SMEs than for you as an employee. The SME is always the higher authority relative to internal learning developers. At Obsidian Learning, we find that as neutral outside consultants brought in explicitly for our learning expertise, we can effectively have this conversation with SMEs. 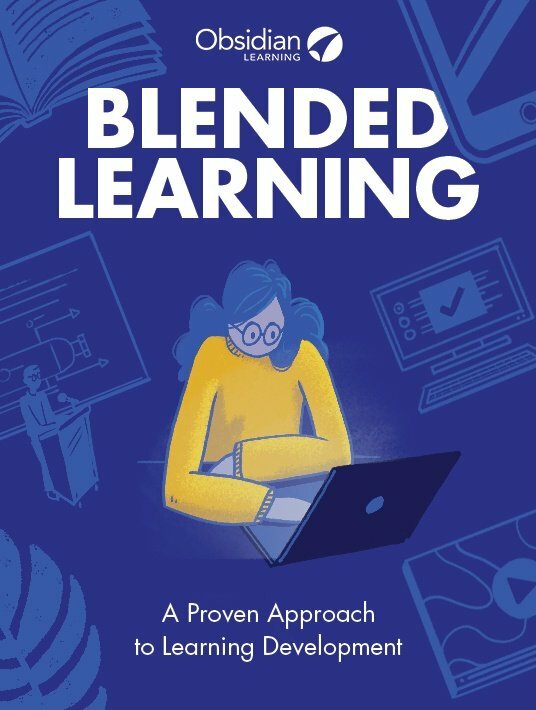 Blended learning lends itself well to keeping the core course material clear and focused while providing access to additional materials if and when learners need them. And of course, specialized and advanced knowledge and skills can be used to create additional courses if a true need exists.